Give him a squeeze to have him in fits of laughter. 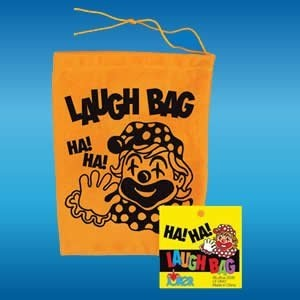 Colorful printed squeeze activated electronic laughing bag. Colors and bag design may vary. Ages 3 and up. Batteries included.